Shower the children in your life with a little something special. 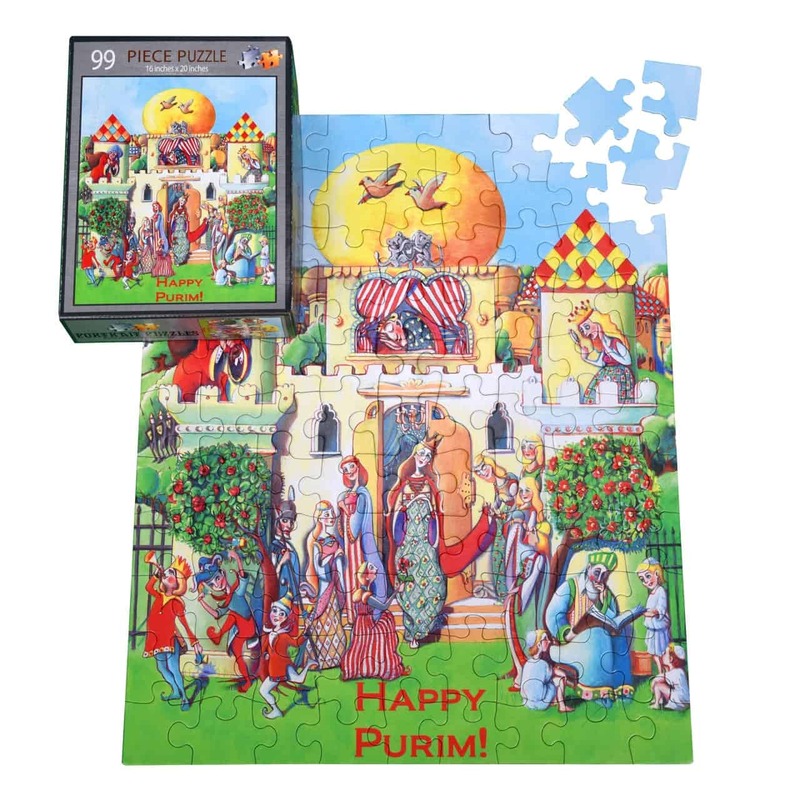 This whimsical Purim 99 piece puzzle by Artist Sarah Kranz is perfect for children of all ages. Imagine the satisfaction on their faces when they finish putting all together. 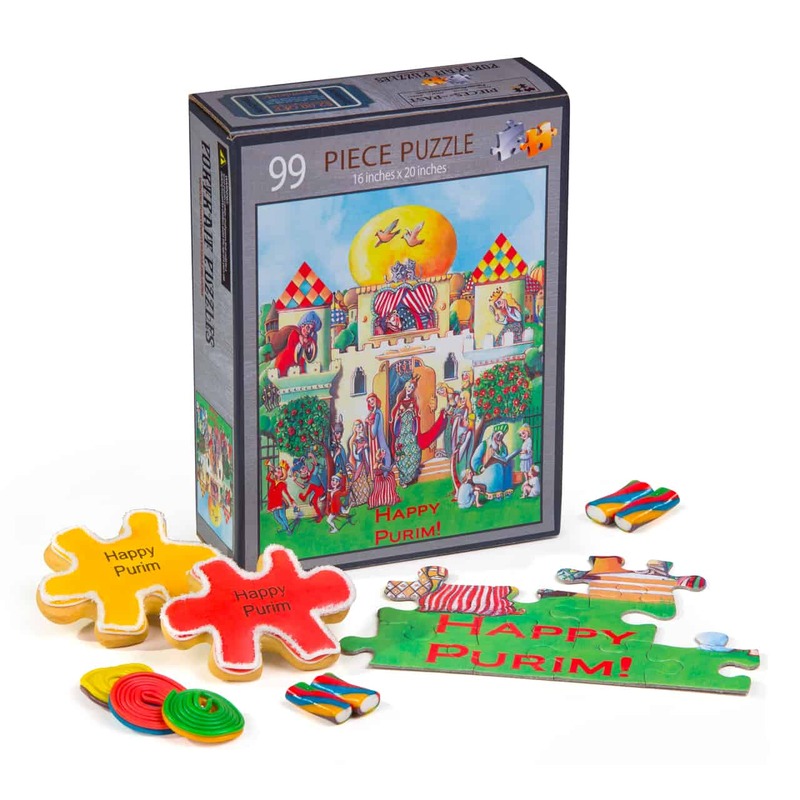 Arrives with adorable Happy purim puzzle piece cookies, hamnetaschen and licorice swirls and candy. 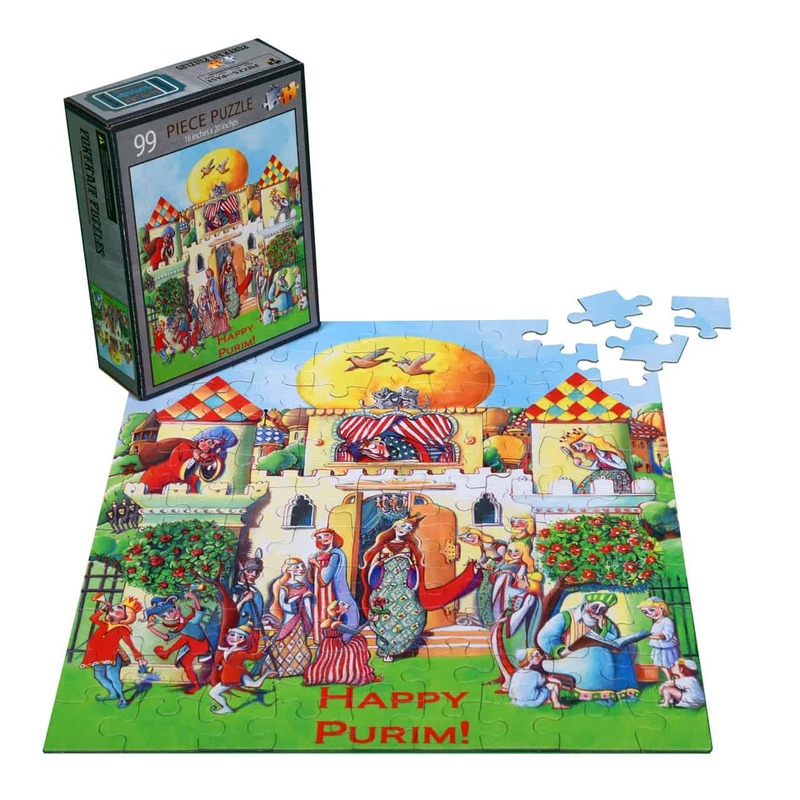 Cookies and candy are under chassidishe hashgacha. Cookies are pas yisroel.